Q: I struggled to keep on top of my VAT payments to Revenue in 2014, is there any way of reducing the pressure on my cashflow for 2015. Currently I pay VAT when I raise a sales invoice and am finding it difficult to get paid on time. A: You can make an application to Revenue to change your VAT status to the monies received basis of accounting for goods and services. This applies to companies with sales of less than €2 million. This is called the “cash receipts basis” and it allows you to pay VAT to revenue on invoices for which you have actually received payment. 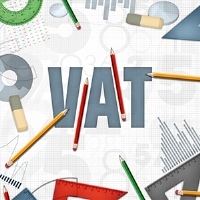 Crucially it also allows you to reclaim VAT on all purchase invoices paid and unpaid in the period. This generally helps greatly with cashflow issues if as you say you are having difficulty with slow payers. If you would like any assistance in setting this up or indeed with any of your affairs please get in contact with us today.